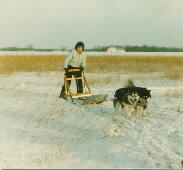 Here are some of our past and current dogs doing what they love most. Just click on the pictures below to see a larger version. 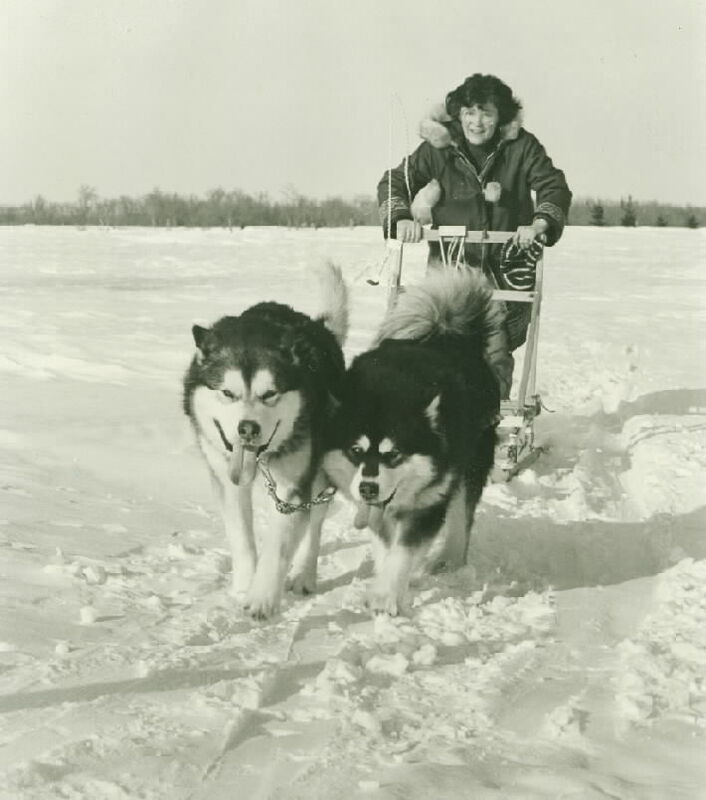 Our 4 dog team out on the Red River. 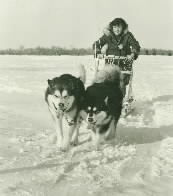 Drifter & Golly in lead with Parka & Satin in wheel. Kudu & Panda at a Sib & Mal fun day along the Seine River Diversion. 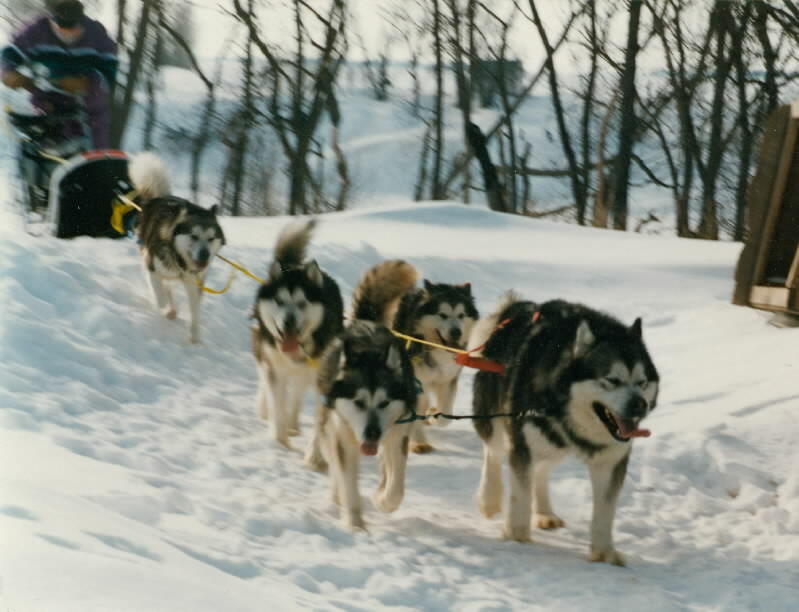 John coming back from a run on the Red River with our 5 dog team, with Drifter & Golly in lead, Parka & Icon in the middle and Hunter at wheel. 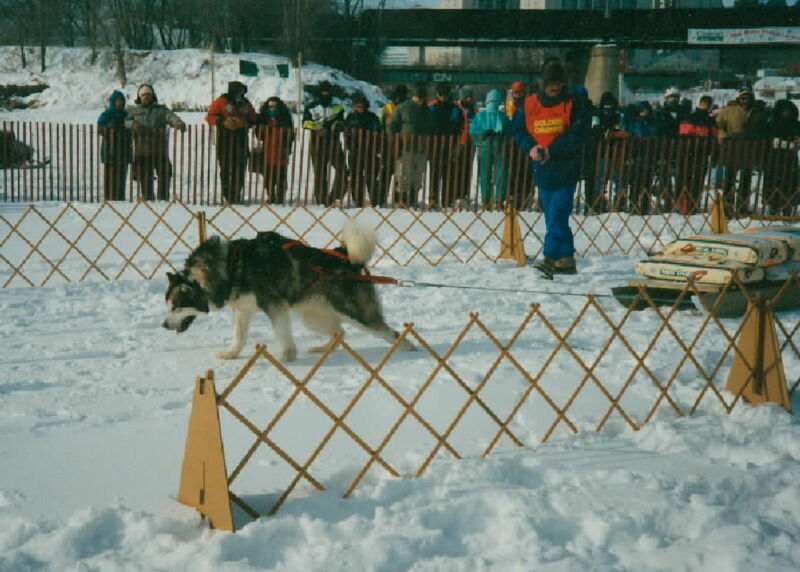 Drifter at a demonstration weight pull at the Festival Du Voyageur. 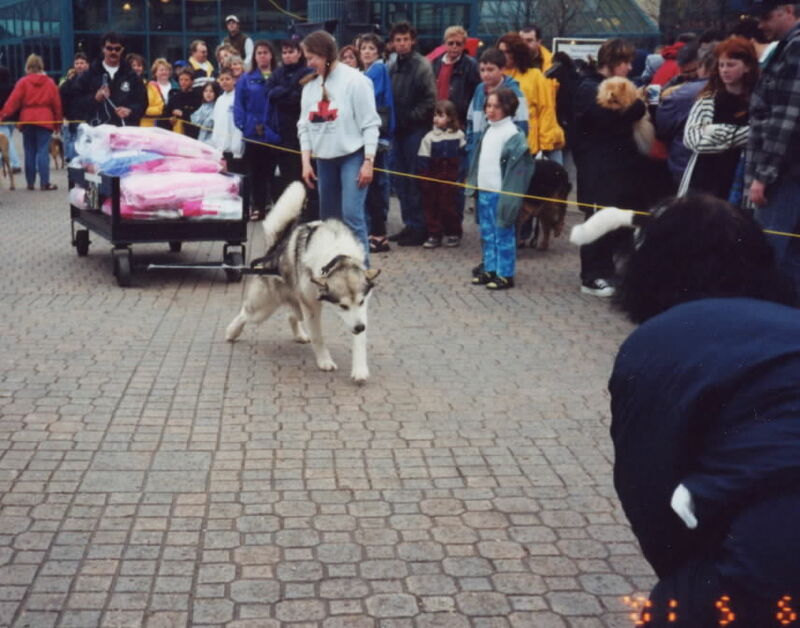 Sledge at the Manitoba Dog Party at the Forks May 6/01. 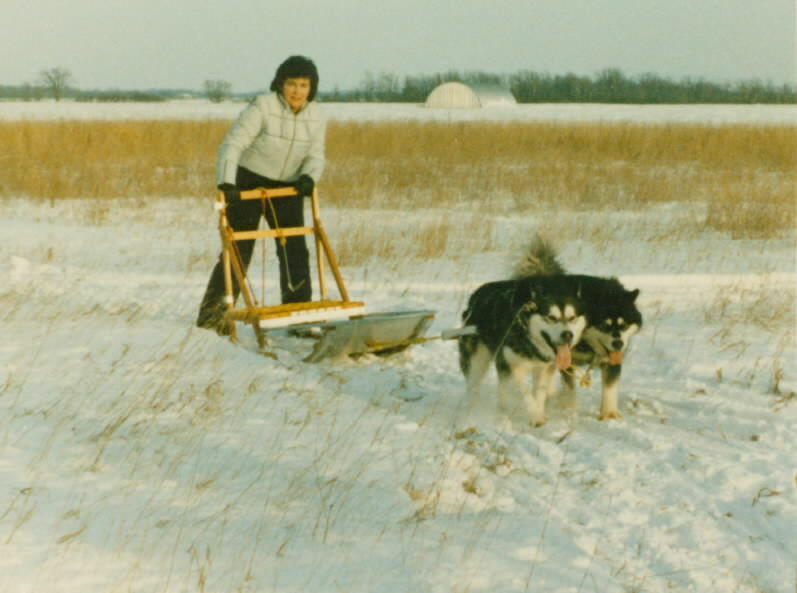 An annual demonstration weight pull put on by WAMM. 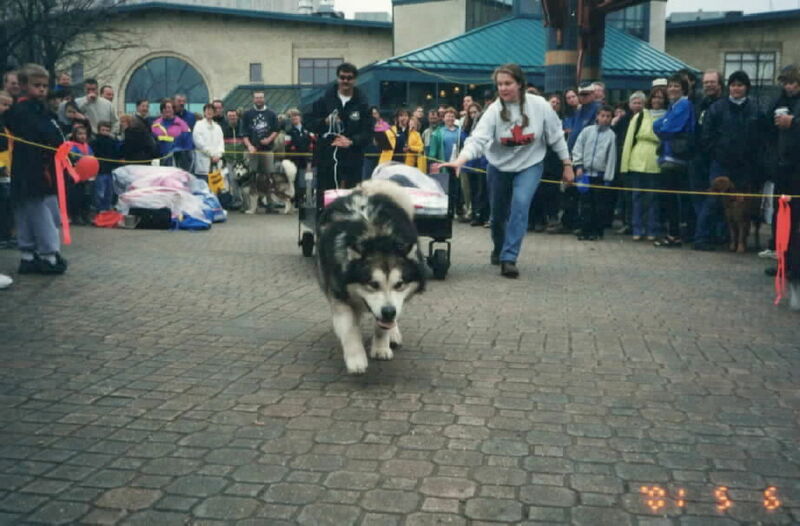 Good Times at her first weight pull at the Manitoba Dog Party at the Forks in Winnipeg May 6/01. A demonstration weight pull put on by WAMM in the rain. The cobblestones were getting pretty slippery.